Event submission opens mid-March. More information to follow but wanted to get this on your radar in case you weren’t already aware. We certainly look forward to having you join the festivities by hosting an event/activity that week! More soon. Feel free to reach out with any questions in the meantime. If you were forwarded this note and would like to receive future communications directly, please shoot me an email. REMINDER: RSVP for 3/12 MDG Member Meeting! Our next membership meeting will be Tuesday March 12, 10am-1pm (lunch included) at Blackwater Tavern in Stevensville. Thanks to our lunch sponsor, Kols Containers! Please note: this is their new location at 405 Cleat Street (adjacent to BOE Marine) and NOT the Log Canoe Circle distillery location. All current members received invoices via Quickbooks in December 2018. We appreciate your past support of MDG, and hope that you will renew your membership with the organization for 2019. Payments are now due for continued membership, as well as for participation in upcoming events. If you plan to participate in the Spirits of Maryland: Southern Maryland event on February 23rd, or if you are a licensed distillery with a tasting room and want to be listed on the 2019 Craft Beverage Map, your membership must be current! Please let Janna@growandfortify.com know if you did not receive your invoice, or if you need it sent to you again. If you need to make a partial payment, also get in touch. Any questions about membership? Contact Janna also. Coffee and light refreshments will be provided. After the workshop there will be a convoy of folks heading out for happy hour at a local establishment. There is paid street parking and the Carroll Creek & Patrick Street Parking Garages are less than two blocks away. Proceeds from this event go directly to creating additional educational workshops, seminars and learning experiences for craft beverage producers. Hosted by the MDG Education Committee and McClintock Distilling. 2019 Education & Presentation Ideas? Attention MDG members!! The Education Committee is looking for submissions for educational presentations from members of the distilling community. 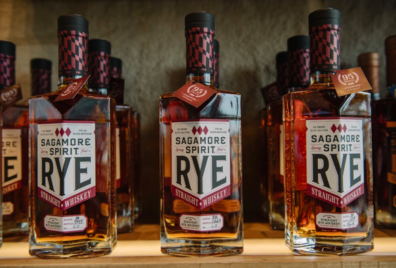 We believe that a focus on education and the sharing of knowledge will continue to make the Maryland distilling scene one of the strongest and most innovative in the country. We are accepting submissions from anyone who thinks they have something to teach other members of the Guild. This is not limited to talks on production! We would love to have classes on bartending, marketing, TTB compliance, etc. Please FILL OUT THIS FORM to let us know what you would like to share with other members of the Guild! Our next membership meeting will be at Tenth Ward Distilling in Frederick. Please RSVP no later than Monday, December 10. A big THANK YOU to Saverglass, our sponsor for this meeting! Our next membership meeting will be Tuesday, September 18, 10am at Bad Alfred’s Distillery in Chestertown, MD.